Paper on Establishing norms with metanorms over interaction topologies published in Autonomous Agents and Multi-Agent Systems, Online 2017. Paper on Adaptive composition in dynamic service environments published in Futre Generation Computer Systems, Online 2016. Paper on electronic institutions published in Artificial Intelligence, March 2012. 50 Facts about Agent-Based Computing (5MB). Michael Luck is Professor of Computer Science and Executive Dean of the Faculty of Natural and Mathematical Sciences at King's College London. 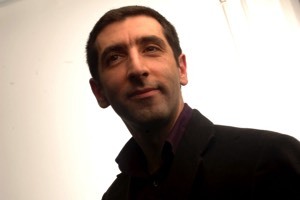 He was Head of the Department of Informatics from 2011 to 2013, where he also works in the Agents and Intelligent Systems group, undertaking research into agent technologies and intelligent systems. He is Scientific Advisor to the Board for Aerogility. His work has sought to take a principled approach to the development of practical agent systems, and spans: formal models for intelligent agents and multi-agent systems; formalisation of existing practical agent systems and theories; information-based agent applications in domains such as genome analysis; norms and institutions; trust and reputation; agent infrastructure; declarative programming of agent systems; agent-oriented software engineering; application to Grid computing; and industrial deployment and technology forecasting. He led work at King's on the IST CONTRACT project, concerned with distributed electronic business systems on the basis of dynamically generated, cross-organisational contracts, on a BAe Systems Defence Technology Centre project on norm and organisaton based practical reasoning, and on an EPSRC Bridging the Gaps project in Interdisciplinary Informatics. Professor Luck has published over 300 articles in these and related areas, and twelve books (including monographs, textbooks, and edited collections); he was lead author of the AgentLink roadmaps in 2003 and 2005. According to Google Scholar, he has an h-index of 52. He is one of two Editors-in-Chief of Autonomous Agents and Multi-Agent Systems, the premier agents journal, was a director of the International Foundation for Autonomous Agents and Multi-Agent Systems (IFAAMAS) 2008-2014, co-founder of the European Multi-Agent Systems (EUMAS) workshop series (and served as its Steering Committee's first Chair), co-founder and Chair of the Steering Committee of the UK Multi-Agent Systems Workshops (UKMAS), and a Steering Committee member for the Central and Eastern European Conference on Multi-Agent Systems (CEEMAS). Professor Luck was a member of the Executive Committee of AgentLink III, the European Network of Excellence for Agent-Based Computing, having previously been the Director of AgentLink II. He is an editorial board member of International Journal of Agent-Oriented Software Engineering as well as for the SpringerBriefs in Intelligent Systems series. 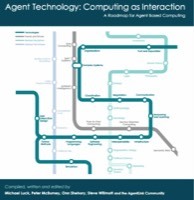 He was previously on the editorial boards of Web Intelligence and Agent Systems and ACM Transactions on Autonomous and Adaptive Systems, and was series editor for Artech House's Agent Oriented Systems book series. He is Chair of the Special Track on Autonomy at the 2017 International Joint Conference on Artificial Intelligence and was General Co-Chair of the Ninth International Conference on Autonomous Agents and Multiagent Systems (AAMAS 2010), held in Toronto, Canada in May 2010. From 2000 through 2006, Professor Luck was based in the School of Electronics and Computer Science at the University of Southampton, and from 1993 until 2000 in the Department of Computer Science at the University of Warwick. He studied in the Departments of Computer Science at University College London and the University of Illinois at Urbana-Champaign.